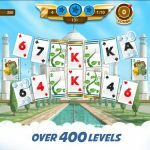 The classic card game that tested plenty of friendships a few decades ago has made its way to the mobile platform. 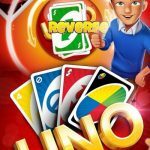 You can now play UNO! with your friends while you are on the go! 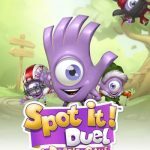 This digital card game for Android and iOS devices is based on the original of the same name, but with a few added twists. If you have not played UNO! before, it is actually pretty easy to learn. It is a multiplayer game where participants take turns discarding one card each. The first to discard all his cards wins the match. Of course, there are rules on which cards may be discarded, and it normally just means following the number of the previously discarded card. There are special cards, however, that will cause different effects. Winning can be tricky, so make sure you read our compilation of UNO! cheats, tips and tricks to ensure your victory! What we mean is that you should not get discouraged just because you have the most cards in your hand. Even if one of the other participants only have two cards remaining, you still have a chance to win. You will never know when a Draw 4 or any other special card will come up. Just patiently wait for your turn and keep playing your cards, and you just might get lucky in the end. You may think you want to hold on to action cards in case you need them later, but it is really better to get rid of them as soon as possible. Action cards are counted against you and will be deducted from your coins at the end of the game. If you miss your chance to get rid of them early on, you may end up stuck with them for good. It’s not really worth the risk, especially since the goal of the game is to get rid of all your cards. Shields give you free access to special games without the risk of losing your coins. That means you get to earn more coins with no strings attached. You get a free shield every day, so don’t forget to use it. Coins can be hard to come by in UNO!, so it is important that you take advantage of every opportunity to earn some whenever you can. You should also practice for a bit before entering any of these special games since you need to actually win in order to earn those extra coins. UNO! has a social feature called Events. These are like online parties where you can play with your friends and complete tasks together. Having a lot of friends in the game will certainly help you finish your tasks more quickly. Invite your friends to play the game with you in order to maximize your progress. You can also use the in-game search function which will give you several recommendations for your friend list. It will indicate if the person is an active player, so you will know if he is worth adding or not. Add as many as you can. Don’t worry because they will most likely accept if they are really active. If you see a player who is using the default photo of the game, you will most likely think that person isn’t really active, right? The same goes for you when other people are checking out your invites. Make sure you customize your profile photo in order to attract more active friends within the game. You can also link your Facebook account in order to use your Facebook photo in your profile. Remember, having more active friends also means more gifts! The 2v2 games generally give out more money, but you will need a reliable partner if you want to keep on winning. Now that you have a lot of people on your friend list, you may want to invite them to 2v2 games to see who is actually good. If you find someone who knows how to win, make sure you give them a Like at the end of the match and invite them more often to 2v2 games. If you are not the shy type, you can even ask that player to be your regular partner in these games, making it easier for you to rack up the wins in the long run. A lot of those who played the physical card game probably misused the Draw 4 card for years. That’s because most people assume it is an all-powerful card that you can just play anytime you want in order to give your opponents hell. There are a few rules when it comes to playing the card, though. First of all, it is only legal to use it if you do not have any other card that can be played for that round. For example, if the round is discarding blue cards and you don’t have one, you can play the Draw 4 card instead. Now here is the tricky part. The game lets you lie about not having any other card to play. If you get away with it, you don’t get penalized even if your opponents find out later on that you really had a playable card. Someone has to challenge your Draw 4 card as soon as you play it. If they are correct and you lied, you will end up drawing the four cards. If they challenged you, and you really did not have any playable cards, the person who issued the challenge will draw six cards instead of four. It is a high-risk play, but it can really turn things around for you when you are in a pinch. As mentioned above, challenging a Draw 4 card can be worse than just accepting it. While not entirely foolproof, there is a way to minimize the risks. If you see that the player who used the Draw 4 card has a lot of cards in his hand, there is a good chance that he is lying. Having a lot of cards means his hand would most likely include all four colors in it. If you see that he only has a few cards left, it may be too risky to challenge the Draw 4. Taunting other players is probably most effective when you are playing the physical card game with friends, but there is a way to somehow recreate the experience within the game. There is an option to throw tomatoes and uses emojis during a match. Doing so might be a good way to distract another player, especially someone who seems to be winning. If you are lucky, and it works, that player will make a mistake that you can capitalize on in the next round. Tasks are like missions that you can complete in exchange for rewards. There are Daily tasks, Challenge Tasks, and Event Tasks. Most of these just involve playing certain cards. For example, a Daily Task might ask you to play 10 action cards. There are also tasks with multiple requirements like playing with a friend and using two Skip cards during that match. Make sure you check the lists of tasks regularly, so you know which cards to play during your games. Card games are always fun to play with friends, especially when you are always wining. If you follow our UNO! 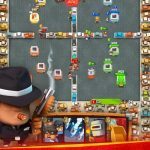 Cheats, tips and tricks you will have a good chance to win every match! In case you know more tips and tricks for UNO!, please let us know in the comment area below!